Looking for Love? Lettering Delights has a Great Deal for You! Lettering Delights is at it again! With Valentine's Day coming up fast, they've got a couple great deals for you. 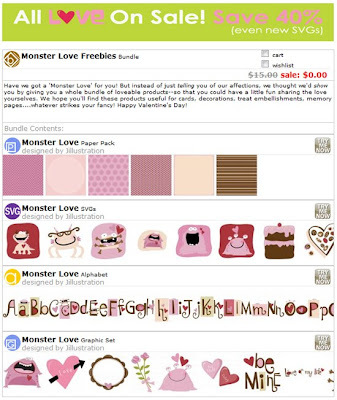 First up, this great Monster Love bundle, absolutely free! Just click on the preview to grab the bundle from their site. 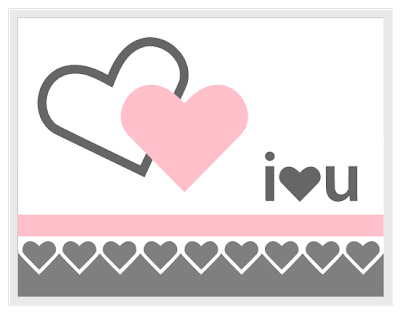 And when you're there, check out their other love themed sets, there's lots of new ones including SVGs and you can grab them at 40% off. Wow, it's been a while since I did a video, time for another one! :-) This tutorial shows you step by step how to use the new feature in MTC that wraps either text or shapes to a shape. By changing the shapes and text you use, as well as the way you weld or join shapes, you can create a lot of really fun effects! Enjoy! Anyways, here's my latest creation using Make the Cut!, some texturizing, a little stamping, some painstaking cutting to get that dimension on the butterfly, and a little bling to bring it all together. Would love to hear what you think! 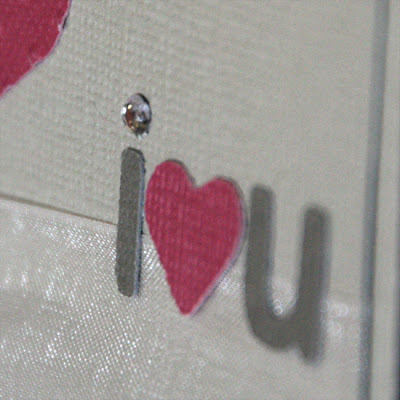 Seems like everyone is in a Valentine's frame of mind now, so here's another one to add to your collection! 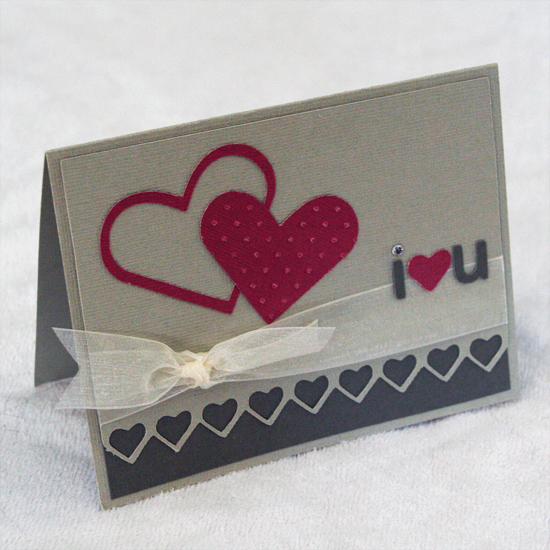 This sweet little card was designed completely in Make the Cut! 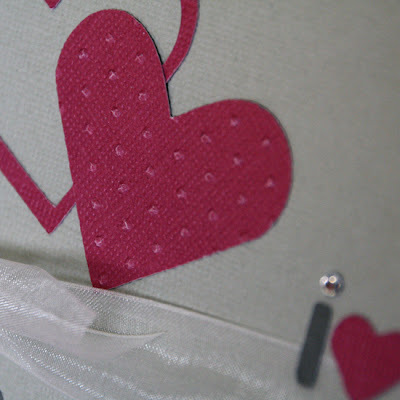 using basic shapes, and features a pretty lacy heart trim. 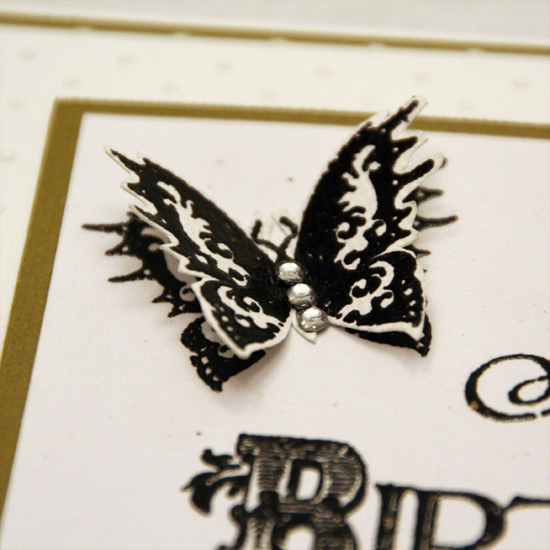 Just cut the pieces you need to make your card, use your imagination, add a little bling and ribbon for a one of a kind creation! I'll be posting my take on this design in the next couple days. In the meantime, you can download the MTC file by clicking on the preview image. Have fun! 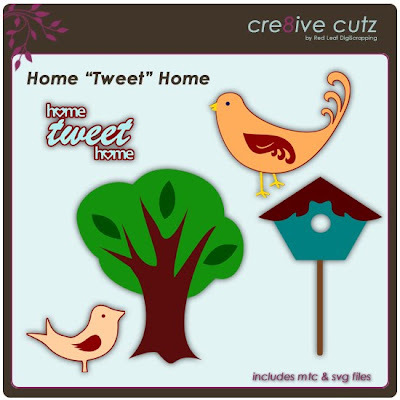 This cute set, now available in the store, is perfect for projects about home, or to welcome someone to their new home. 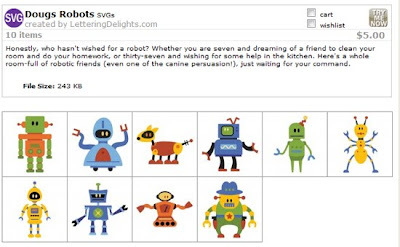 The set is available for just 99 cents, and includes both MTC and SVG files. Click on the preview to have a closer look in the store. 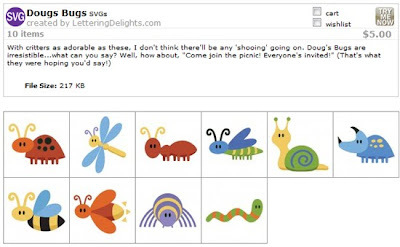 To create the cutting file of the vine and bird, I imported a photo of the Cuttlebug Birds & Swirls embossing folder into Inkscape, then used the Inkscape tools to trace the pattern and create the shapes. 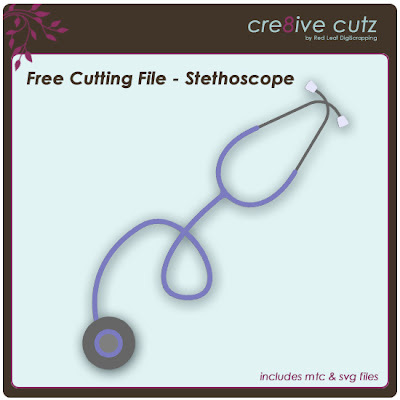 The ribbon shape was created using Inkscape shapes and adjusting the nodes to create the point. In Make the Cut!, I added a 5 1/2" x 4 1/4" rectangle to indicate the full size of the card, and another rectangle at 5 1/4" x 4" to indicate the embossed area of the card. 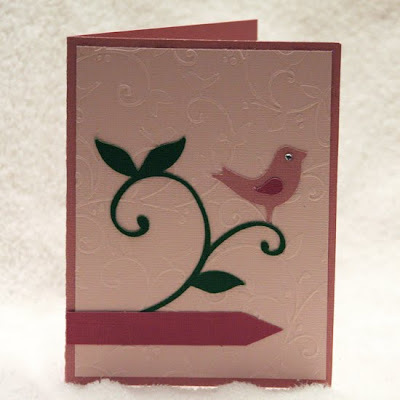 I then copied and pasted the bird, vineand ribbon onto the card and resized to what I wanted. I turned off the visibility of the two rectangles in Make the Cut! and cut the bird, wing, vine and ribbon. I cut an 8 1/2" x 11" piece of cardstock in half and then folded in half again to create the 5 1/2" x 4 1/4" card base. I cut a 5 1/4" x 4" piece of cardstock and embossed it in my Texture Boutique using the Birds & Swirls embossing folder. 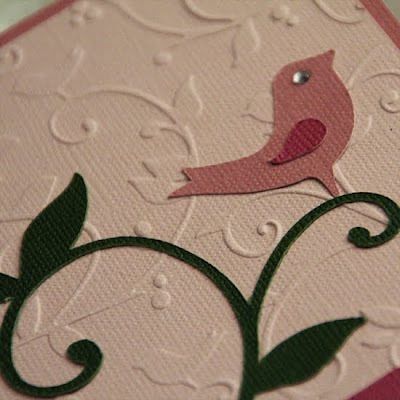 I adhered the embossed piece to the front of the card, and then adhered the vine, bird and ribbon on top. I attached a rhinestone to the bird as an eye using my iRock tool. I left the ribbon blank, and will stamp an appropriate sentiment on it when I give the card away. Well that's it! That's how easy it is to use Make the Cut! to help you with your card designs. I'm a big card maker (I got into making cards after I switched from paper to digital scrapping, because I missed the hands-on aspect of paper and embellishments) and now that I've found Make the Cut! 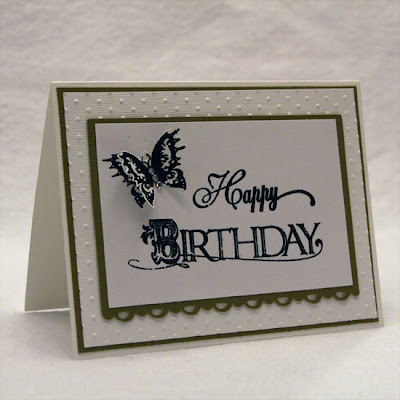 it has become an indispensable part of my card making process. When I'm getting a file ready to cut in Make the Cut!, it's obviously pretty important to get the sizes right for the card I'm making. And although I don't usually cut the card base itself in Make the Cut! 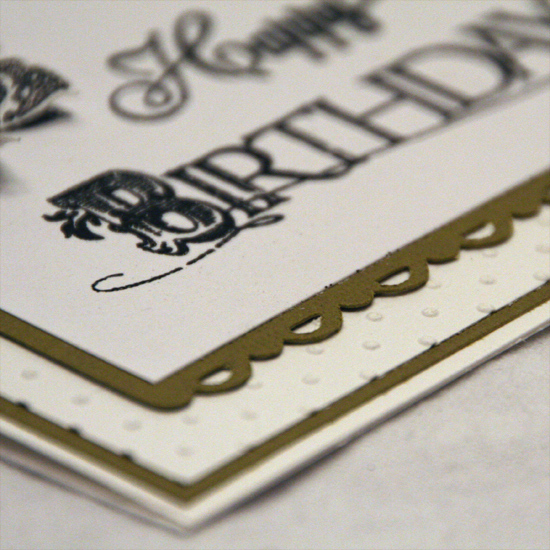 unless it's shaped, I've found that it is really helpful to design my card onscreen as I've shown below. This helps me to get the size and placement of the image(s) I'm actually cutting just the way I want them. 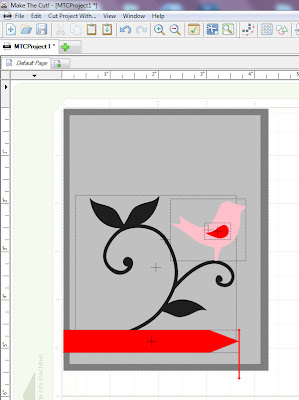 Once I'm happy with the way the design looks, I just turn the visibility off for the layers I don't need to cut (in this case the two outer rectangles) and cut my image(s). Stay tuned for some pics of the card and how I made it tomorrow. 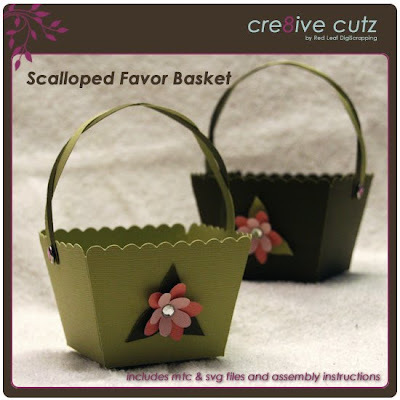 Perfect for party or wedding favors, this sweet scalloped basket with a pretty 3D flower will dress up any table decor. The woven handle is attached using brads, making it easy to move to the side to fill the basket with the treats of your choice. 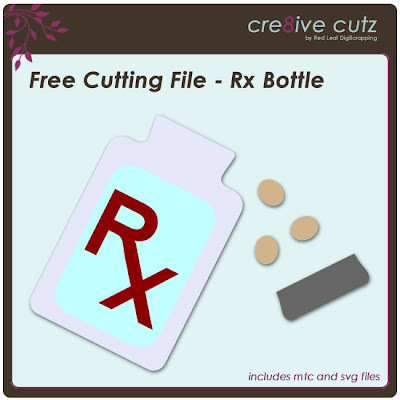 The basket is available for just 99 cents in the Cre8ive Cutz store. Click on the preview below to see additional photos and to purchase. 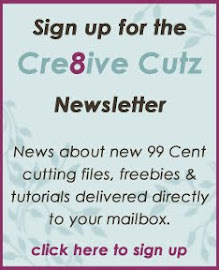 I'm very pleased and excited to announce that I have decided to open a Cre8ive Cutz store right here on my blog. All items in the store will be just 99 cents, and you can purchase items without needing to visit a separate store website. Payments are handled through PayPal's secure payment servers. Once payment has been made, you will automatically receive an email with the download link(s). 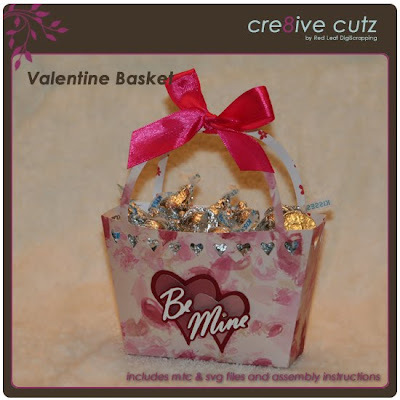 I will be offering a variety of projects and cutting files, including seasonal items, like this cute Valentine's Basket, perfect for delivering sweets to your sweetie. 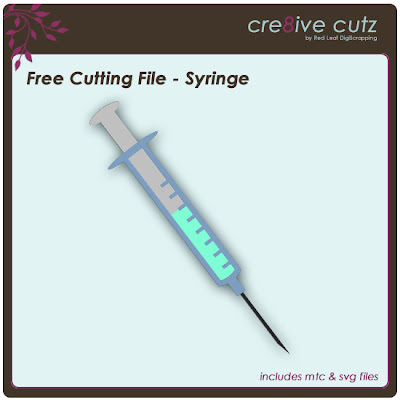 All downloads include MTC (for Make the Cut!) and SVG files as well as assembly instructions. More items will be added on a regular basis, so be sure to check back frequently. Thanks for looking!